Magnetic Vertex Chrome Rollerball Pen [PKFP5000] - $53.60 : AnkleBiter Woodworks, When all else fails, send in the dacschund! This is truly the gift your recipient can't put down! With its sleek, faceted Chrome plated design, this pen is a winner. But what makes this pen truly mesmerizing is its unique magnetic cap. 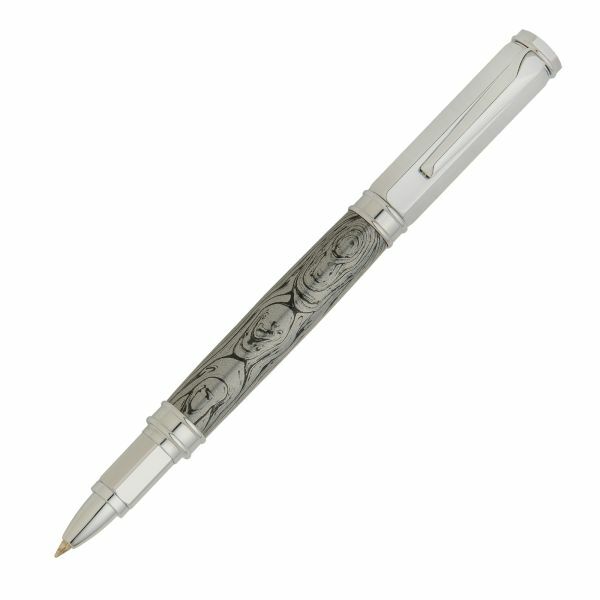 The cap easily posts magnetically onto the nib and back of the pen without the use of threads.